So, one of my coil packs went bad. There is a large variation in price between brands. What are the best and worst brands? Any evidence? If I needed new coils, I'd go with Hitachi. The worst coils I remember hearing about were from autozone and the other big chain supplier in the US. That's where they were from at the time when they were bad right out of the box. 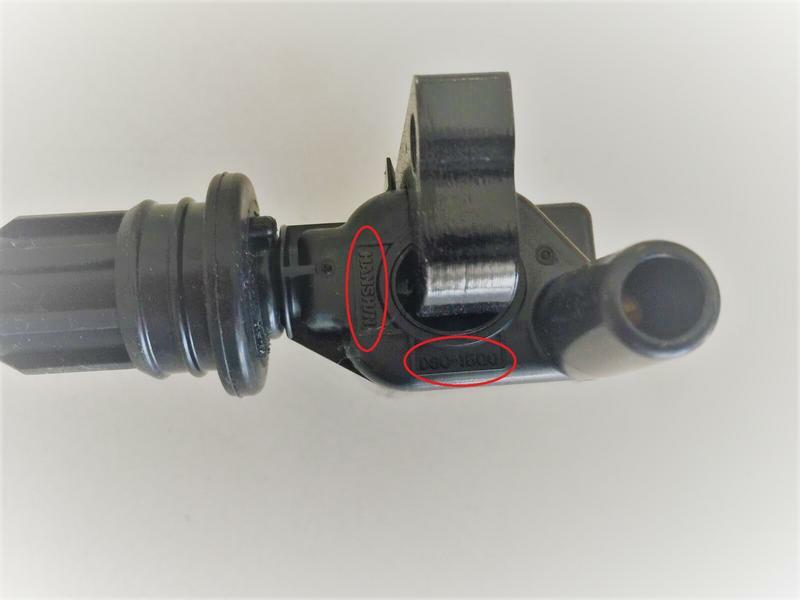 I purchased brand new ignition coils from Mazda here in Australia about 3 years back, and it has "HANSH/N" and "DSC-1500" embossed near where the ignition cord plugs into it. The coils I replaced also had the same embossing, and I know the full history of the car since new, which was always serviced at a Mazda dealership. 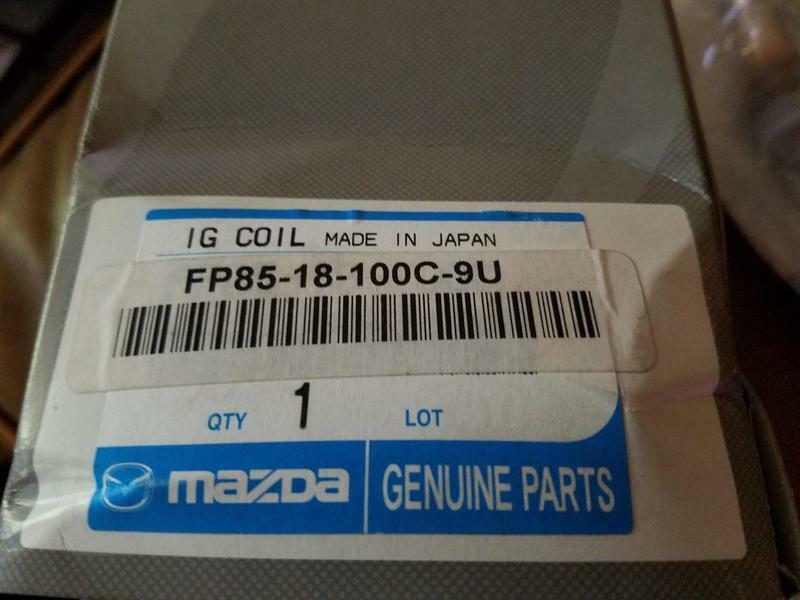 Have seen some coils that have DSC-1500 printed on them, but I'm lead to believe they're not the same/genuine Mazda. I don't know what brand they are, and Mazda could not tell me either. It has no brand name such as Hitachi or NGK anywhere on them. The old set I replaced had done over 80'000 kilometres (just under 50'000 miles) on them, and were still fine. I replaced them as a precaution. 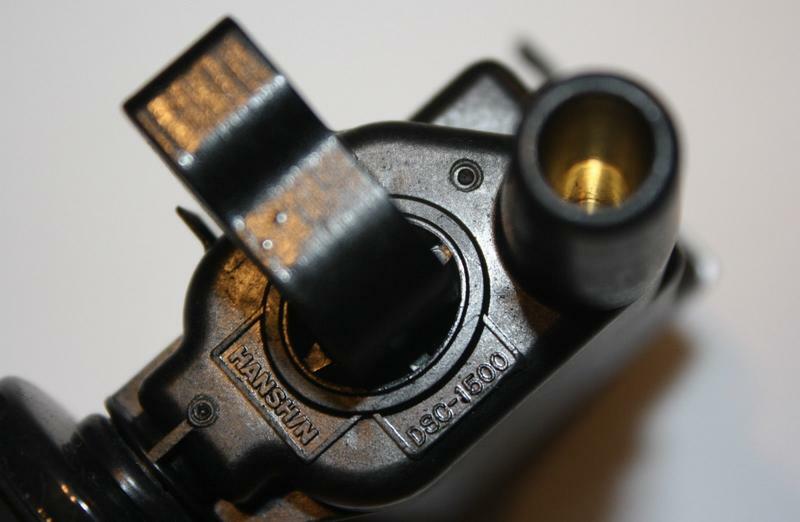 A quick Google of 'HANSH/N ignition coil' gives me results that also leads be to believe they're genuine Mazda. I'm getting $116.27 for each coil. Looking at this again, it looks like part #1 includes parts #2 & 3, so $82.26. I got these back in november from amazon and so far they been holding up just fine. Before these I got a set from rockauto (cant recall brand) and they lasted me about 80k miles. I can now confirm the photo I posted above is of a genuine Mazda coil. See photos below. If it has 'HANSH/N + DSC-1500' embossed on the coil, it is genuine Mazda. i've had luck with the autozone ones for 60k ish miles but replaced them while trying to troubleshoot something. replaced them with beck/arnley coils and they've been fine so far for about 3-4k miles. I have had no issue using AutoZone coils. Replaced all four when coil no. 3 failed. So far so good. I just got a P0303 yesterday with a flashing CEL and engine stumbling. Previously, I've only ever gotten P0300 codes, so this was new and exciting! Problem turned out to be the Autozone Duralast spark plug wires that I picked up in a pinch late one rainy night. Would have ordered cheaper (and better) DENSO or NGK wires from rockauto.com if starting from scratch, but Autozone gives lifetime free replacements, so I just got new ones for free. Anyway, I was pretty sure the coils were still good as I'd recently replaced them with Hitachi ones (third set of coils on this car). I had kept the second set of coils for reference/backups, and I can see that one of the old coils had the embossed part numbers you mention ground off (see pic below) and it was made in Japan. I had bought the second set of coils from two different stores and I *think* that is a Hitachi coil in my pic, but can't be sure. I couldn't see any ground-off parts on my recently-installed genuine Hitachi coils to confirm, and I wasn't going to pull them out this morning to check having just spent a bunch of time under the hood yesterday with plugs, coils, and wires. I can recommend Hitachi coils without reservation (along with Mazda ones, of course). 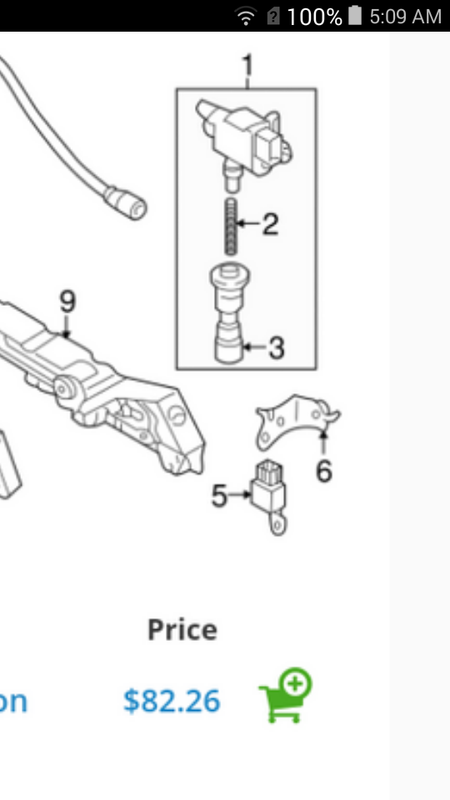 I would guess that an NGK or DENSO-branded part would be good too. As @PCB has mentioned recently, there's a reason the Hitachi ones are marked "favorite" by customers on rockauto.com. 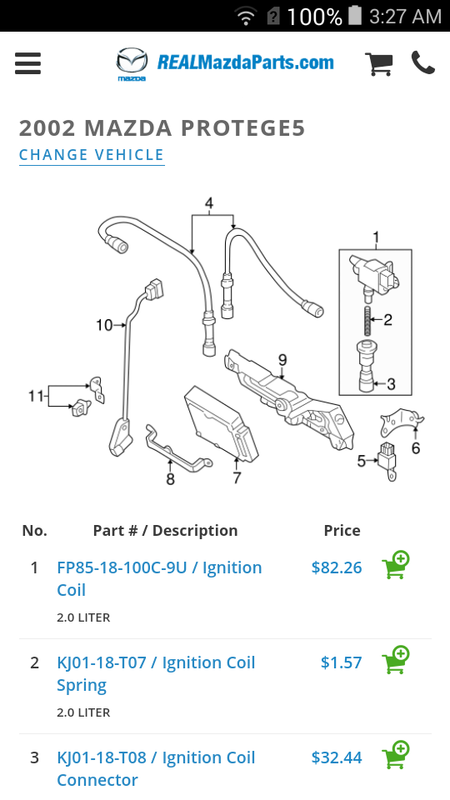 Note that the Hitachi coils are also listed literally as "Actual OE Part" on RockAuto. 2. Do buy Hitachi, Mazda, or maybe NGK coils for this car. O'Reilly in your area may have the Hitachi part if you need it right away. My local O'Reilly did. 3. Do not buy Autozone spark plug wires for this car. After pulling the spark plug wire on cylinder 3 (P0303 code), we saw electricity arc through the rubber boot to the valve cover even though the metal female (spark plug end) was pulled out and exposed and seemingly a better path to ground. One last thing that was interesting. I replaced the NGK plugs yesterday with some Champion ones I had lying around (don't buy Champion; buy NGK stock plugs for this car; I simply had these unused plugs sitting around from years ago...) The gap on the old dealer-installed NGK plugs was at least .060" and not the recommended/default .044"... Maybe someone can tell me if that was from electrode wear or whatnot? Last edited by katapaltes; 04-07-2019 at 01:11 PM. Consumer Reports' best and worst car brands in 2015, Mazda ranked number 2 ! What's up with the 1.8 coil packs?